The real alignment of any posture begins at the vibratory level, where our thoughts, words, and deeds articulate into matter. Explore and combine the powerful practices of breath work (pranayama), nada yoga (the Yoga of sacred sound), concentration, and meditation as methods to call us home into our highest consciousness (Samadhi). We use pranayama to restrain and free the vital life force so that our instruments play more clearly in thought, word, and deed. We employ chanting as a devotional practice that awakens and evokes in us the True Self qualities we most desire to resonate and express through our lives. We explore the “inner practices” of Patanjai’s 8-limbed path, which consist of three stages: dharana (concentration) dhyana (meditation), and Samadhi (super conscious state, absorbed with the highest Self). 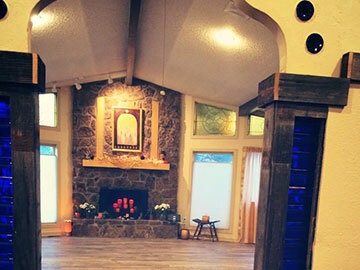 This 60-min ALL LEVELS class is a beautiful way to deepen and expand your Yoga as a healing and empowering technology.